Nataliya was always an athletic child and enjoyed combat sports even at a very young age. At the time she was only fourteen, she weighed 88 lbs. She was sick of being called skinny and scrawny all of the time, and she decided that she wanted to gain more muscle so she started hitting the gym. Only two years later, she became a pro-powerlifter and won the title of Zabaikayle Region Champion. Nataliya spoke about her quick success in powerlifting, “Just a few months after I started exercising, I performed at regional competitions and I liked it very much. I became an absolute champion of Zabaikayle Region when I was sixteen. That’s how it all began. I even did army dogfighting. I was not too bad. Results became visible pretty fast.” It seems like Nataliya was just a natural from the start. The 26-year-old has dedicated her life to this sport. She is constantly competing in championships and always aiming to get better and better. At such a young age, she is already breaking world records. 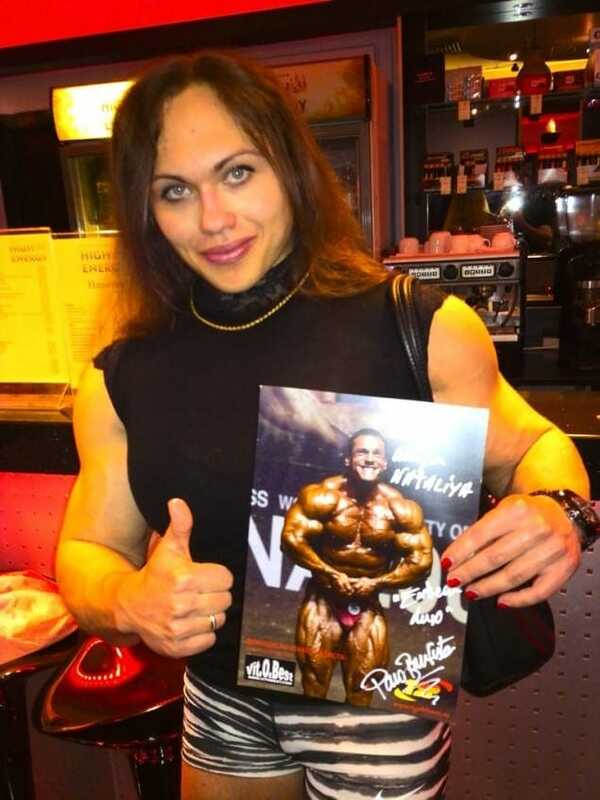 Just last year, Nataliya became the world arm lifting champion and world bench press champion. 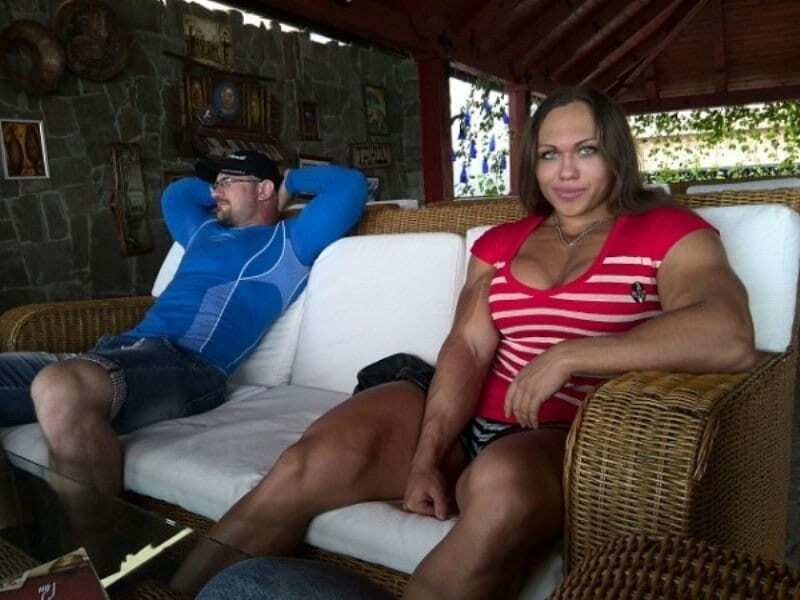 She also holds the title as the European bench press and deadlift champion. She isn’t planning on backing down anytime soon. However, although Nataliya is confident of her figure and proud of her achievements (as she should be!) there are a lot of haters out there. In an interview with Pro Secrets, she said that while in real life, no one would ever approach her to make fun of her or insult her, the internet is a different story. Unfortunately, there are a lot of cyber bullies, who criticize her body and lifestyle. Every time Nataliya posts a photo of her online, she gets several comments. Some nice and encouraging, calling her an idol and inspiration, and others not so friendly. Nataliya has even stopped posting on social forums because she was receiving so many hateful messages. She has a Facebook and Instagram account, but she doesn’t post as much as she used to. It is surprising that even an accomplished, world champion athlete like Nataliya can get hurt by the haters out there. 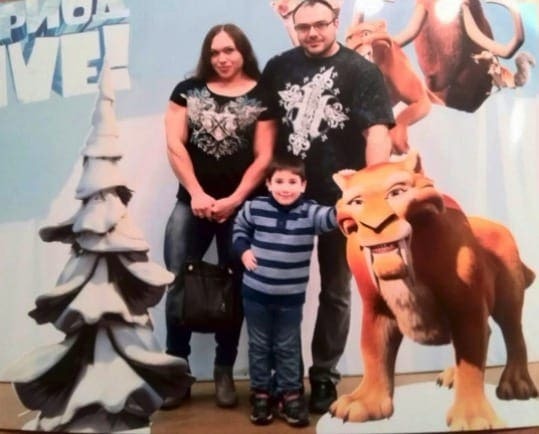 Nataliya admitted that at one point she thought about trying growth hormones, peptides and even insulin, but she made a decision that they weren’t for her. 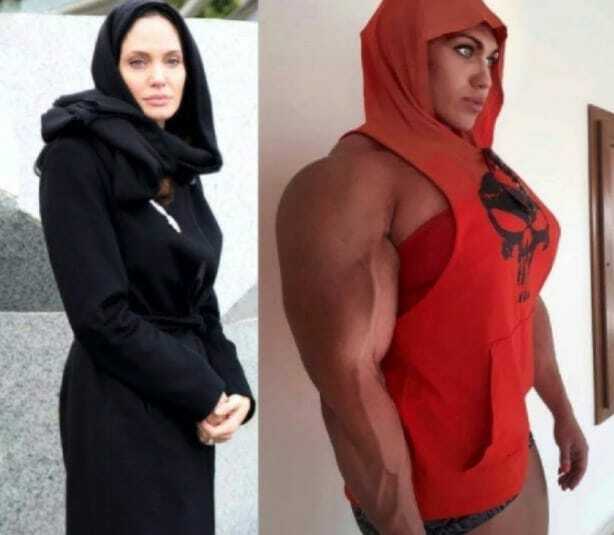 The bodybuilder says that she is able to perform well and stay in perfect shape even without using, but she insists that the steroids help give her a special edge during the competitions. The world champion is lucky, because none of the competitions she competes in currently require taking a test to check for usage. While the young powerlifter may be the best if not one of the best in the field, she recently said that the financial cost of keeping her fit figure is catching up with her. Training daily and traveling to competitions has left Nataliya without much money left. Since she is constantly at the gym, she does not have the time to even get a side job. Because of this, she relies on having steady sponsors throughout her career so that she can keep up with her finances. According to Nataliya, finding sponsors in Russia is not an easy task. 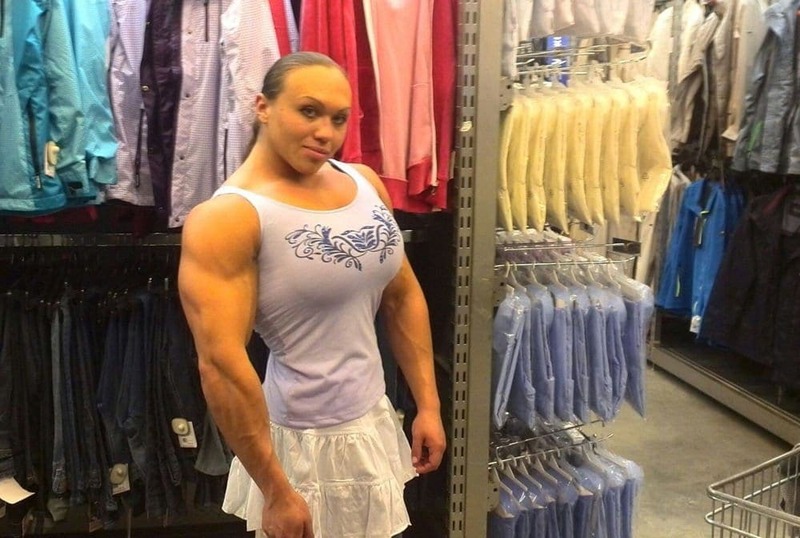 She said that since female bodybuilding and powerlifting isn’t the most well-known in Russia, finding good sponsors is quite the difficult task. Due to this great challenge, she has been forced to fund most of her expenses out of pocket, and she now has collected a large amount of credit card debt. Many people on the internet have commented on how “fake” or “photoshopped” the photos of Nataliya are. She continues to prove everyone wrong by posting several videos on Youtube of her working out at the gym, and it is clear that they are the real thing. Yes, in a world filled with fake news, it is sometimes hard to believe. But don’t be fooled, this girl really is really that fit! If you don’t believe it, go to youtube and check her out for yourself. Nataliya recently started a new Instagram account that has a total of 458 posts, which is a lot more than her previous page that had only 16. In a short period of time, she has already landed herself 184k followers, now that isn’t too bad. On her page, she shares photos of her on vacation, at the beach in a bikini and of course- working out at the gym. One thing that is clear from her Instagram posts is that she really has a great passion for traveling. Her most recent trips include seeing the Belgrade Fortress in Serbia, and the Platinum Casino in Bulgaria. She also seems to admire Angelina Jolie, and even posted a photo of the movie star next to her, striking a similar pose. Her followers went crazy and said that they really do look alike, despite the muscles of course. Another passion Nataliya seems to have, is for food. Yes, although there is not an ounce of fat on this girl she still has to eat! She frequently posts photos of her “carb-loading” as she calls it. In one photo, she even shares a photo of a waffle covered in ice cream and chocolate sauce with a huge Pina Colada next to it, not the meal that you would expect a professional powerlifter to eat! While Nataliya does share a lot on her Instagram page, she doesn’t often talk about her personal life. Many hearts were crushed after the bodybuilder posted several photos with her husband and his son. They got married a couple years ago, after meeting at the gym and sharing a common love for lifting. Not only did her husband support her career, he also took on the job as her personal trainer. Nataliya often takes to social media to answer some of fans frequently asked questions. She wrote, “I do not do my bicep measurement every day, and I do not watch every day my weight.” She did say however that she hits the gym for training daily, and has a very strict workout regimen that includes no cardio, and lots of powerlifting exercises. She must put all of her fellow gym members to shame! 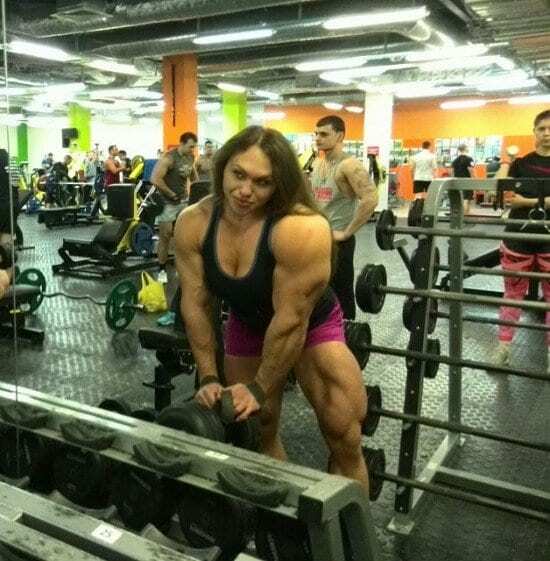 Although in Russia female bodybuilding is still new and not so common, in America it is a whole different story. Female bodybuilding officially became a competitive sport in the late 70s, and has been increasing in popularity ever since. Now, there are currently thousands of professional women bodybuilders in the country. ABC news recently did a story on the “secret world of women’s bodybuilding” and called it a subculture. During an interview, Nataliya said that She felt as if the bodybuilding profession has chose her. The Russian athlete said that was always interested in power and combat sports ever since she was a child. During her ongoing career, Trukhina received several nicknames from her fans and friends in the business, including Freak Mass Woman or The Russian Amazon. 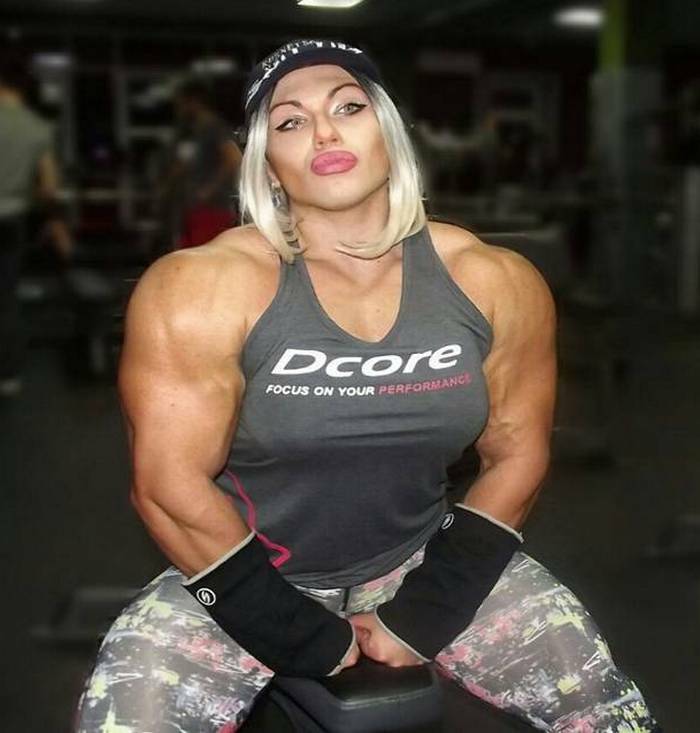 She is considered today as the biggest female bodybuilder in the world. 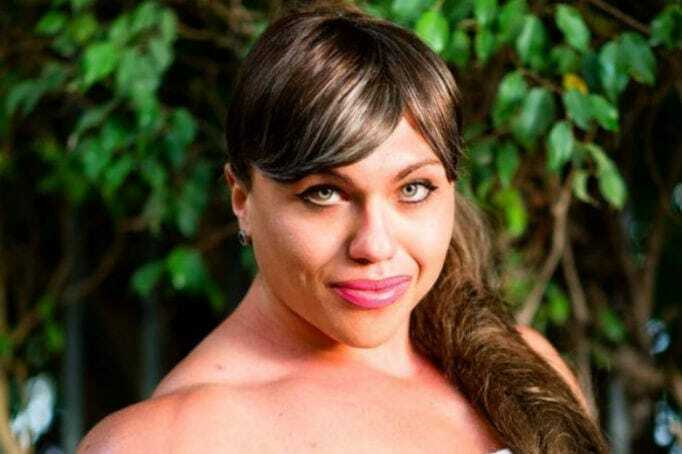 Unlike the case of Nataliya Trukhina, many American female bodybuilders were embraced by the sports community in their country and have become somewhat of an icon in popular culture. Some of them even became a household name such as Jennifer Broomfield, Jennifer Rish, Cory Everson, and Gladys Portugues, who was married to the famous martial artists and actor Jean-Claude Van Damme. Many psychologists claim that the sports community and the general society should encourage more women to participate in bodybuilding . According to their philosophy, the reason for these female athletes’ attraction to this lifestyle in most cases is due to ongoing weight and self-esteem issues. throughout bodybuilding, many women are facing and overcoming these and other mental issues that might surface in different periods in their lives, thus empowering themselves. 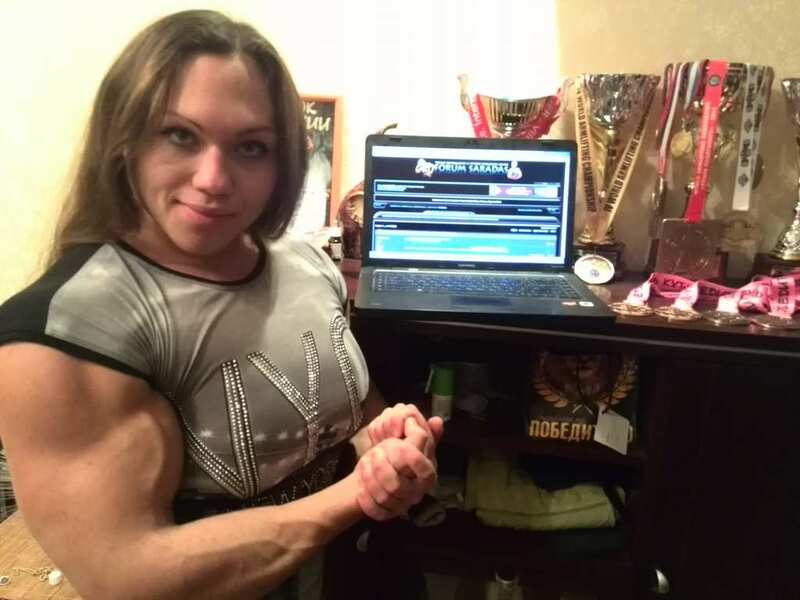 Following her efforts to earn additional funds in order to support her strict lifestyle and numerous competition, the Russian female bodybuilder has enlisted herself to a unique site that is dedicated to fans of female bodybuilding. On that site, her fans can pay in order to see Trukhina posing to the camera while performing her exercises. Despite the negative comments, Nataliya tries her best not to let the haters get her down. But she does admit that it hurts sometimes, and even stopped writing on discussion forums because she was receiving too many mean comments. She is actively present on social media however, and has thousands of followers on her Instagram page, who often leave her kind comments of support and encouragement. If you ever heard Nataliya’s voice in one of her videos and was immediately surprised by her deep, manly voice – it all makes sense. While she insists that the steroids help give her a special edge during the competitions, they do carry great risks for the athletes that consume them. Female bodybuilders who take steroids may suffer from numerous side effects that are similar to what males experience during puberty, including a deeper voice and increased body and facial hair and baldness. Nataliya said that like most women, she loves going to beauty salons and going shopping. Unfortunately, it is difficult for her to walk down street without having people staring at her at all times. “When I go out on the street, I will know for sure that everyone will pay attention to me. In my life, it’s sometimes easier for an alien to go unnoticed than me. I try to ignore all of these distractions”. When asked about her workout plan, Nataliya said that most of her training is based on repetition. She said that she usually works on every muscle group at least once a week, and will do back workouts twice a week – one for “width” and one for “thickness”. During a regular routine without any big competition ahead, Nataliya will work out around 6 times a week. Closer to a major contest, she will decrease her training to 3 times a week. Like most bodybuilders, Nataliya is on a special high-protein diet that was built for her but still consumes Carbohydrates from rice and buckwheat. Her daily meals are comprised of 6 eggs with two yolks, meat (especially chicken) and fish, high-fat cheese and many kinds of fiber such as greens and vegetables. In addition, Nataliya takes several kinds of vitamins to enhance her strength. 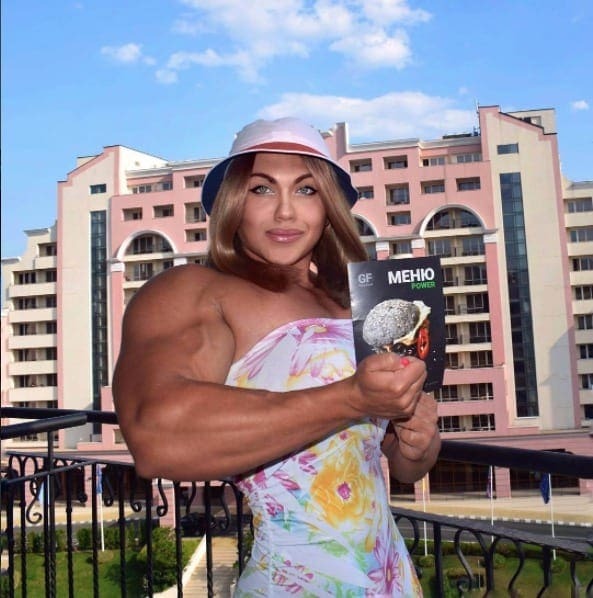 Even though she claims finding sponsors is a nightmare and that she covers most of her expenses on her own, Nataliya Trukhina is a sponsored athlete of a sports nutrition brand Vertex Pharmaceuticals and Do4a.com clothing brand. The financial support helps her maintain her strict lifestyle and to focus 100% on her routine of extreme workouts and competitions. It is nice to know that she is slowly receiving the recognition she deserves. Did Nataliya become addicted to the sport? It is hard to say, but she definitely does look a lot different than how she used to. Nataliya recently shared with her thousands of followers a very rare photo of her, before and after. In the before picture, she was already in pretty good shape and seemed like she had started working out at that point. But she still looked tiny compared to what she looks like now. It is also easy to see another big difference on Nataliya due to her breast augmentation surgery that she had done not too long ago. It is hard to recognize the young powerlifter before she made such a dramatic change to her body. Now, she is literally massive. She has muscles that even most professional male bodybuilders could never achieve. In this photo while she still looks fit, she was just an average girl. It is incredible how in just a few years, and with hard work and determination, you can transform your body entirely. 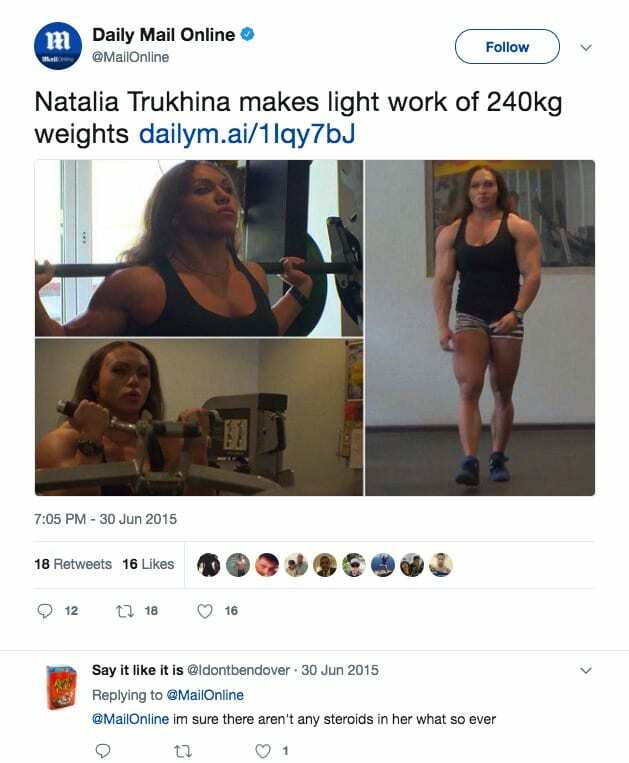 When Daily Mail Online posted some photos of Nataliya, she received a lot of rude remarks, especially about her taking steroids. The thing is, that Nataliya does not try to hide it. She is very open about using anabolic steroids. She has admitted to taking anywhere from 150 to 200 mg of primobolan or proprionate before she competes. She also takes 20 mg of oxandrolone each day she trains.